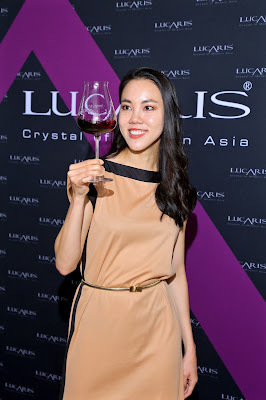 The World's Youngest Master of Wine, Hong Kong based Sarah Heller, was in the Capital recently to conduct a wine masterclass for a select audience. Sarah received the coveted title of 2018 Wineluxe Magazine Person of the Year. She is also famous for her educational wine videos on ShowMuse app. Besides sharing some fascinating global trends and predictions on wine consumption, Sarah demonstrated how the shape of the glass (the width of the bowl, the width of the rim, the width to rim ratio) can actually change the taste of the wine. We experienced it through an experiment that included tasting 4 types of wine in 12 different glasses! Here are some excerpts from our exclusive chat with Sarah Heller. 1. Who inspired you to become a Master of Wine? The first three Masters of Wine in Asia were all women – Debra Meiburg, my former boss and still one of my closest friends, Jeannie Cho Lee and Lisa Perrotti-Brown, who is Editor in Chief of the Wine Advocate. Seeing this power trio and the impact they’ve had in their own spheres – Debra in communications and education, Jeannie in food and wine matching and Lisa in wine criticism – it’s hard not to feel inspired. 2. As the world's youngest Master of Wine, what advice would you give to aspiring young wine connoisseurs and professionals? Drink broadly, ask lots of questions and never be afraid to admit you don’t know something. As an Italian wine girl in a town that loves Burgundy and Bordeaux, I’m constantly learning about new wine brands from my friends and colleagues; if I pretended to know everything people might not be so keen to share. 3. What is the highest goal that you aspire for in your industry? To make a real difference in the way people approach wine. I don’t say that I want to “simplify” it, because wine’s complexity is one of its main strengths but I think about it as taking the group of people who say they really enjoy wine but don’t know how to start learning more and getting them to the stage where they feel comfortable exploring new regions and brands, not just returning to the same safe choices every time. 4. Is this your first trip to India? What do you like best about India? It is my first trip, and though I’ve seen some incredible monuments and met some lovely people, I’m going to have to go with the food. The diversity, the complexity in each meal and individual dish – it’s just intoxicating. 5. How would you rate Indian wines on a global scale? Indian wines have improved immensely even since I first started tasting them regularly at competitions 4 or 5 years ago. The best examples are extremely approachable and not overdone. Usually you can spot a new wine region by how ambitious the wines taste – the grapes are overripe, the winemaker tried to extract too much and used too much oak – but most of the Indian wines I have tried have had subtlety and nuance. A version of this article first appeared in The New Indian Express, Indulge - Coimbatore on June 22, 2018.